Here is a list of some of the items that point to Leeden being involved with the forged Niger Yellowcake documents. Just checked it out, I Lewis Scooter Libby was indeed at the law firm that represented alleged Mossad asset Marc Rich, pardoned by Clinton, whose papers were then sealed by Baby Doc Bush. * Ledeen, whose daughter Simone worked in the Iraqi CPA during whose tenure billions went missing. * Waxman who helped put Hamas on the terrorism list despite that Hamas has specifically never threatened the US --this has led to the prosecution of Professor Sami Al Arian for funding terrorism, a true and yet ever more indication that the US is USRael. * Feith, old Office of Special Plans Feith, who left the Pentagon on a golden parachute and whose father was one of the founders of Israel's Likud. 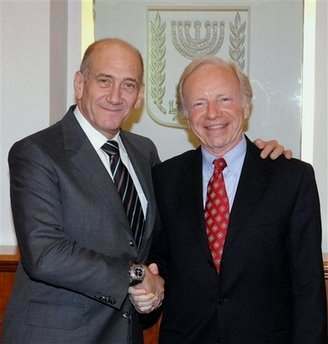 * Dov Zakheim, signer of PNAC's infamous letter that *predicted* 9/11, CFO or CEO of a corporation that built remote control systems for hijacked planes, and comptroller of the Pentagon during whose tenure billions if not trillions went missing. *Rahm Emmanuel, suspected to be Mega, the Mossad mole in Clinton's White Houes and now the Democratic party's chief enforcer. Maybe I should screw the dry erase board and make this flow chart on the side of the house, because that's just the tip of this corrupt iceberg which will end up killing us all. Both parties share the blame. Good luck, Anon, I can only hope you will not be disappeared like did our old friends Gorilla and 'r'. You mispell "Ledeen" twice as "Leeden."